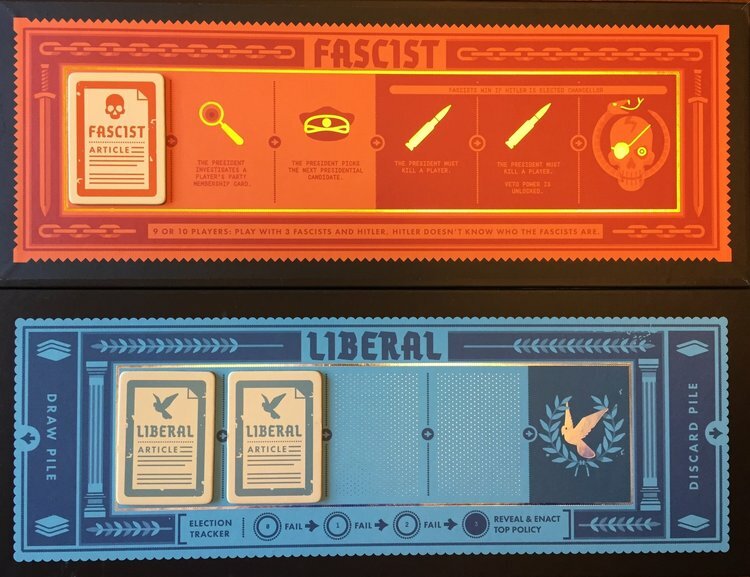 At the beginning of the game, each player is secretly assigned to one of three roles: Liberal, Fascist, or Hitler. 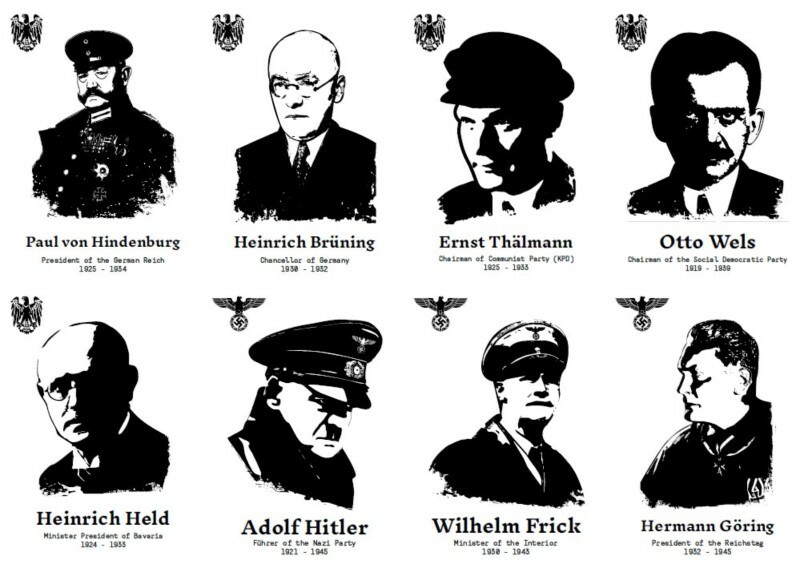 Hitler plays for the fascist team, and the fascists know who Hitler is, but most of the time Hitler does not know who his fellow fascists are. The Liberals don't know who anyone is. The liberals win by enacting five liberal policies or killing Hitler. The fascists win by enacting six fascist policies, or if Hitler is elected chancellor late in the game. As Fascist policies are enacted, the government becomes more powerful and the President gains new powers. Even liberal players may find themselves tempted to enact fascist policies that help them control the table and assassinate their enemies. Every player is secretly on the Liberal team or the Fascist team. Hitler wins an election as chancellor any time after the third fascist policy has been enacted. Select the Fascist Track that corresponds to the number of players and place it next to a Liberal Track (there's an identical Liberal track on the back of every Fascist track). Shuffle the 11 Fascist policy mini-cards and the 6 Liberal mini-policy cards into a single policy deck and place the deck face down on the DRAW card. You'll need an envelope for each player, and each envelope should contain a Secret Role card, a corresponding Party Membership card, and two Ballot cards. Use the table below to determine the correct distribution of Roles. Once the envelopes have been filled, be sure to shuffle them so each player's role is a secret to everyone else! Each player should get one envelope selected at random. Important: Make sure you have the correct number of ordinary fascists in addition to Hitler! Once each player has been dealt a Role card and has looked at his Role card in secret, randomly select the first President. Pass the President both the Presidency and Chancellorship placards. "Fascist and Hitler, open your eyes and acknowledge each other". "Everyone close your eyes and put your hands down". "Everyone can open your eyes. If anyone is confused or something went wrong, please tell the group now". "Everybody close your eyes and extend your hand into a fist in front of you". "Hitler - keep your eyes closed but put your thumb out into a thumbs-up gesture". "All fascists who are NOT Hitler should open their eyes and acknowledge each other". "Fascists, take note of who has extended his or her thumb - that player is Hitler". You must choose a government to steer the country forward, but weigh the information you have carefully! if power falls into the wrong hands, it can spell disaster for the entire nation. At the beginning of a new round, the Presidency placard moves clockwise to the next player, even if that player was in the last successfully elected government. This player is the new Presidential Candidate. The Presidential Candidate chooses a Chancellor Candidate by passing the Chancellorship placard to any other eligible player. Players who enacted the last policy are not eligible to be Chancellor Candidate. 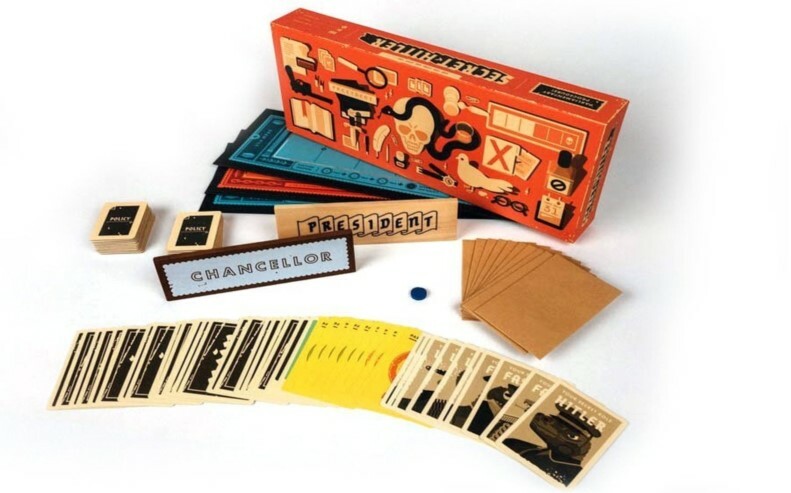 Note: In a five-player game, only the last active Chancellor is ineligible to be Chancellor Candidate; the last President may be nominated. In all other games, neither the last President nor the last Chancellor may be nominated. Once the Presidential Candidate has chosen a Chancellor Candidate, the whole table (including the Candidates) votes on the proposed government. Players indicate readiness to vote by extending their chosen Ballot card in front of them; discussion continues until every player is read to vote. Once every player is ready to vote, reveal your Ballot cards simultaneously so that everyone can see how you voted. If more than 50% of the group votes ja!, the Presidential Candidate and Chancellor Candidate become the President and Chancellor respectively. If three or more fascist policies have already been enacted, ask the new Chancellor if he is Hitler; if he is Hitler, he reveals himself and the game immediately ends in a Fascist victory. Otherwise, proceed to the Legislative Session. If the vote is a tie, or if most players vote nein!, the Presidency placard moves clockwise to the next player and the election tracker is advanced by one election. If the group rejects three governments in a row, a frustrated populace takes matters into its own hands. Reveal the policy on top of the Policy Draw Deck and enact it. Any power granted by this policy is ignored, but all players become eligible to hold the office of Chancellor for the next Election. Reset the Election Tracker after a policy is enacted by the populace or a government is successfully elected. The newly formed government must carefully navigate the demands of a restless populace, but watch them closely! Some governments catch a bad break, others take advantage of confusion to advance their agenda. The President draws the top three cards from the Policy deck, looks at them in secret, and discards one Policy face down into the discard pile. 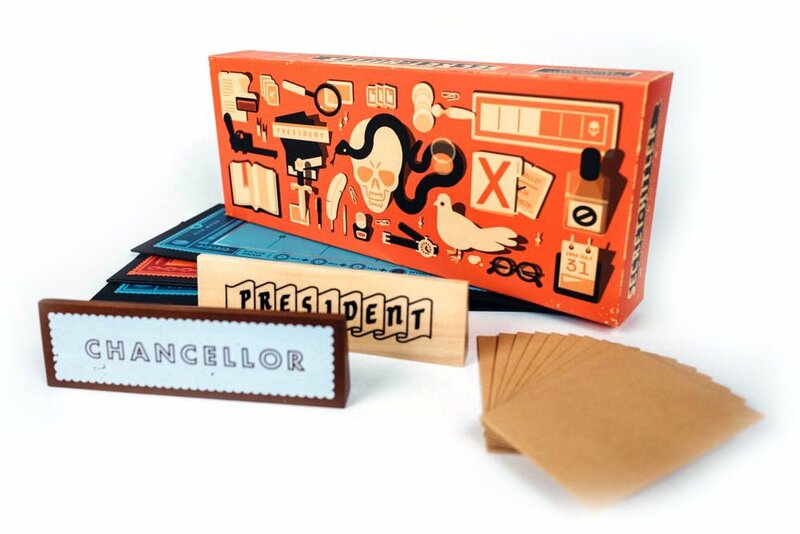 He passes the remaining two cards to the Chancellor, who looks in secret, discards one Policy card face down, and enacts the remaining Policy card by placing it face up on the corresponding track. The sanctity of the legislative session is of the utmost importance! Once it begins with the President drawing three Policy cards, the members of the government should be silent until a policy has been enacted; then they are free to share (or lie about) the details of the session. Remember, one or both of them may be Fascists attempting to deceive the group. Discarded policy cards should never be revealed to the group: you must rely on the word of the President and Chancellor, who are free to LIE. If there are fewer than three cards remaining in the Policy deck at the end of a legislative session, shuffle them with the discard pile to create a new Policy deck. Unused policies should never be revealed, and they should not be simply placed on top of the new Policy deck. If the government enacts a Liberal policy or a Fascist policy that grants no Presidential Power, begin a new round with a new Election. If the government enacts a Fascist Policy that grants an Presidential Power, proceed to the Executive Action. Whether by fate or choice, the government has moved the country closer to Fascism and granted the President new powers to enforce his agenda. The President is free to solicit input from whomever, and the group is free to offer whatever input it wants, but the final decision falls to the President alone. After the President takes an Executive Action, a new round begins with a new Election. Look at the Fascist Track to determine which Presidential Power, if any, has been granted to the President. The President must use power granted to him. The President investigates another player who has not yet been investigated by saying "I formally investigate [player name]"; that player passes his Party Membership Card (not his Secret Role Card) to the President, who checks that player's loyalty in secret and then returns the Membership Card to the player. The President may share (or lie about!) the results of his investigation at his discretion. The President chooses any other player at the table to be the next Presidential Candidate by passing that player the Presidency placard. That player nominates a Chancellor Candidate and the election proceeds as usual. After a Special Election, the Presidency returns to its original order. The President secretly looks at the top three cards in the Policy deck and then returns them to the top of the deck without changing the order. The President executes one player at the table by saying "I formally execute [player name]". 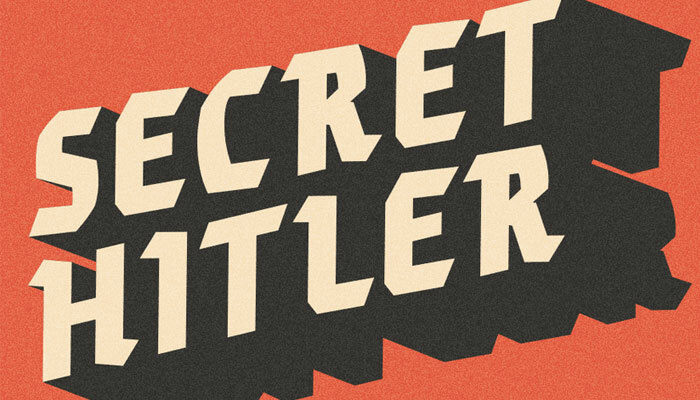 If that player is Hitler, he reveals his Role Card and the game ends in a Liberal victory. If the executed player is not Hitler, he does not reveal his role or his loyalty. He is removed from the game and may not speak, vote, or run for office. Veto Power: After five fascist policies have been enacted, the Executive branch gains much broader power over which policies are enacted. The President draws three policies, discards one, and passes the remaining two to the Chancellor as usual. Then Chancellor may, instead of enacting either policy, say "I wish to veto this agenda". If the President consents, both policies are discarded and the Presidency placard passes to the left as usual. If the President does not consent, the Chancellor must enact one of the two policies handed to him.